Even though the planet Earth is covered mostly with the Oceans and Seas, we know very little about them, especially in comparison to our knowledge of the land spaces on the planet or even that on Venus and Mars. We know a very little about the life in the oceans, and what we know about the life in the oceans, is unsurpassed in its strangeness and beauty. Let’s know some interesting facts about the sea. How Much Of The Planet Is Water? Oftentimes, Earth is compared to a beautiful blue marble, especially with the lucky ones who’ve gazed at it from the space. This is because of the presence of water on the surface of the planet. 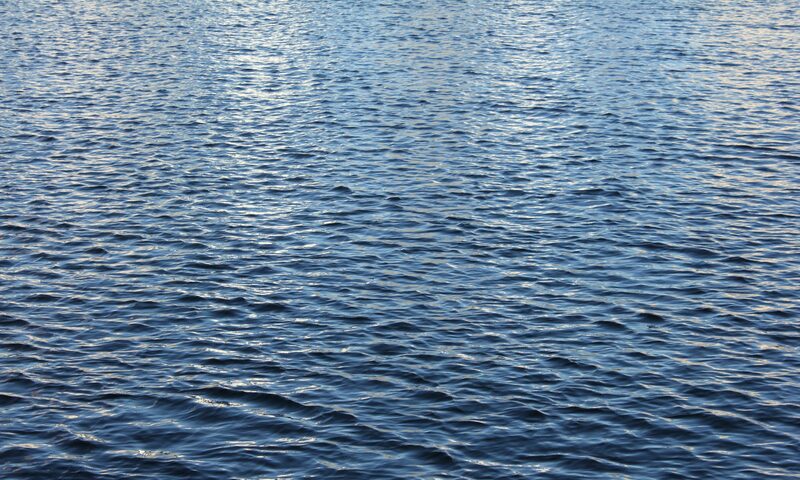 Even though the color of water is not originally blue, it gives off blue colored light when reflected. It is a well-known fact that the world is covered mostly with water. But how much of the planet is exactly the water? Just like most facts relating to this world, the answer to this question is also a little complicated than you may think. We all know that a large part of the planet is in the form of water, but which part has what amount of water and in which form is a fact to be known. Among many forms of the water, Sea and Oceans are the biggest part that plays a very important in the life of human beings, animals, plants, and water species. Let’s reveal some of the facts about sea, source of water, sea food, etc. In the easiest and most elementary terms, Earth’s 71% surface is water, while the remaining 29% consists of islands and continents. The sea and oceans make 96.5% of all the water on Earth and the remaining 3.5% is frozen water locked up in polar ice caps and glaciers and the freshwater lakes. Apart from the water that exists in ice form, there’s also an astounding amount of water, which is beneath the surface of the earth. This sea is located between Siberia and Alaska. It is famous for having some of the most unpredictable and harrowing weather conditions on the planet. The weather of the Bering Sea is most merciless and hostile in the winters when the winds can get to hurricane-type forces. Ice fields can pose a huge threat if it comes in the path of any boat and the chilly waves become violent. The Mediterranean Sea is connected to the Atlantic Ocean and is surrounded by Mediterranean region. This sea is almost entirely enclosed by land. Mediterranean means in the middle of the Earth or ‘inland’. This sea is home to some of the busiest shipping routes of the world and is also the main area for marine pollution. This sea is known for its beauty. The water is very clear and warm with a steady temperature of 75OF. It is also less salty than Atlantic Ocean; hence, is a great destination for tourists. It is the deepest sea in the world with a depth of 22,788 feet i.e. 6946 meters. Many small islands are located in this sea. These islands are called archipelago. These islands are mostly deserted and a lot of countries have been fighting over the claim on these little pieces of lands. If we do not consider oceans, Philippine Sea is the largest sea in the world. It has an area of about 2 million sq. miles. It borders Japan, Philippines, Taiwan, and the Marianas Islands. However, if we include oceans too in the term ‘seas’ then the Pacific Ocean is the largest sea with an area of 64.19 million sq. miles. The term ‘sea food’ is generally used to describe aquatic animals and plants, which are consumed by humans, derelict of the source. Aquaculture and fisheries make up to about 140 million tons of animals and plants per year. These include mollusks (squids and octopus), finfish, seaweeds, crustaceans, marine mammals, and reptiles. Even though the production of lobster is minimalized by the production of seaweed, finfish, and mollusk, lobster fisheries are important for the regional and local economies. There is a big variety of sea food available on the market that people consume, and the biggest part of that sea food comes from Fishing, which covers about 80% of the world’s sea food. Remaining 20% comes from aquaculture (15%) and inland fishing (5%). Even though a great percentage of the aquatic animals and plants, which ultimately become food for humans are either produced by the mariculturists or captured by fishers in the world’s oceans, a compelling amount also comes from the fresh water. There are several types of products are done per sea food, and one of the major productions is done to produce carp. A great majority of carp is produced in China’s aquaculture market. China was the country that started with culturing carp about 4000 years ago as per some estimates. Carp is still one of the most important diet of most of the people in the country. Carps are also produced significantly in some parts of Europe, India, Middle East, and some other locations. Other sea food and productions include from the Mollusk category, which is mostly dominated by oysters and clams, followed by mussels, scallops, and abalone. Consummate production of mollusk goes over 15 million metric tons per year. Even though lobsters are so popular, the main crustaceans that are produced in the world are the shrimp. They majorly come from the salt water. Nonetheless, a considerable amount of freshwater crustaceans are also produced with most of the production from crayfish. A good amount of freshwater shrimp is also produced. The prominence of seafood in the human diet differs considerably all around the world. In the US, it’s roughly consumption is 7 kg per person per year. This is a comparatively smaller amount considering the consumption in other countries. For example, Japanese people depend on seafood heavily for their animal protein. It is 5 times higher in Japan than in the US. Terrestrial animals like pork and beef are costlier than the seafood in Japan. Japan also buys seafood from other countries and has a very well developed aquaculture industry.